"People are living longer and living more of their life in better health than before.” Unfortunately, these statistics do not apply to low-income Americans. These statistics mostly apply to high-income Americans. For middle-income and low-income individuals, life span has actually declined. A recent study by the Hamilton Project sheds light on why. The Hamilton Project is an economic policy initiative at the Brookings Institution led by people in academics, business leaders, and former public policy makers. The project's goal was to address the challenges facing the U.S. economy. What the study revealed was a widening gap in life expectancy between high-income, and moderate-to-low-income people. After analyzing tons of data, researchers found that stress was the primary factor that effects longevity, and moderate- and low-income people have far more stress in their lives than high-income people. The report states that "prolonged exposure to such stress is literally killing people." The study analyzed health data and socioeconomic data from 1976-80 and 2009-14 to see how things had changed. It clearly showed that while longevity changed little for high-income people, it declined drastically for middle- and low-income people. 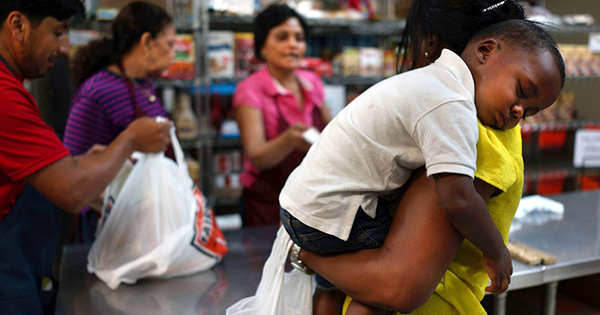 Poor Americans struggle with low incomes and rising costs. This causes more stress which leads to serious health problems such as high blood pressure, high cholesterol (markers of cardiovascular risk); creatinine (kidney function); and albumin (liver function). All of these health issues can create poor health and lower the mortality rate for low-income people.